After 21 years of business Kerry Mark Salon and day Spa is discontinuing operations. Assets will be sold at online auction. For information contact Scott (616) 437-1047. 41 Misc items – office supplies, stapler, 3 hole punch, trash can, heater, etc. Misc items – office supplies, stapler, 3 hole punch, trash can, heater, etc. 53 Office chair – slightly used! Office chair – slightly used! 62 Contents of closet – lights, monitors, glasses, etc. Contents of closet – lights, monitors, glasses, etc. 163 Misc items – clippers, blow dryer, Barbicide, curling iron, etc. 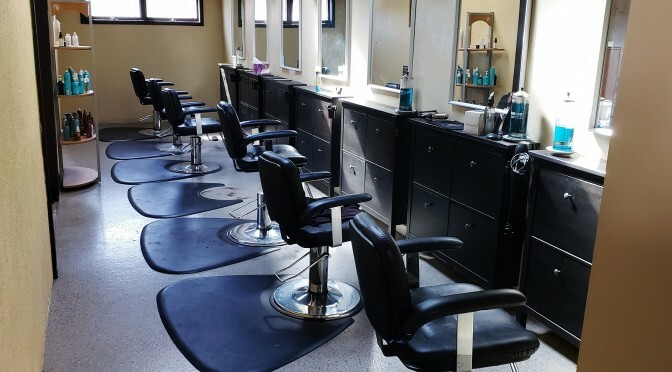 Misc items – clippers, blow dryer, Barbicide, curling iron, etc.